Though different fields of law are being practiced here in Ghana, one of the fields or branch of law that is extremely silent or perhaps non-existent is entertainment lawyers for our showbiz, art and entertainment industry. Law is a broad course with a wider scope. Because of that, some lawyers after graduating from law school prefer becoming authorities in particular fields or branch of law. Some of these fields of law practiced in Ghana includes; labour law, criminal law, civil law, business law, child-right law, human right law, media law, insurance law, marine law, amongst others. At any given time, when issues concerning some of these fields of law crops up, we hear law dabs in these fields called upon to clarify issues or give their technical sapience. Having followed our showbiz for a long time, I’ve never listened or watched any entertainment programme where an expert like “entertainment lawyer” was called or interviewed for him or her to clarify issues or give his technical know-how on showbiz, though many entertainment issues have cropped up over the years. From my little research, an entertainment lawyer is an attorney who specializes in all legal matters pertaining to the entertainment industry. They render wide range of services such as; drafting contracts for a client, review contracts from managers, publicists, record labels, film producers and others to make sure they’re legal and fair to the client and then negotiate those contracts. They maintain relationships with film makers or record labels and be in the known of who’s influential and what deals are being made in the industry. Again, they help actor /actress negotiate a contract with a film maker, filing suit over a pirated film, ensuring that production crew members have adequate medical coverage, overcoming an impasse in union contract negotiations, assisting a young recording artiste with financial or real estate decisions, protecting a recording star from illegal use of a copyrighted song or even preventing invasion of a client’s privacy. 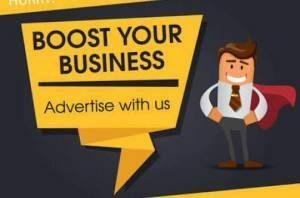 Also, entertainment lawyers help clients new to the industry to understand how the business works, including which types of contracts to choose, how to identify pitfalls in business deals, what performing rights they have and where to find a manager, agent, accountant or other business contact. 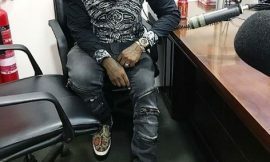 They also act as general counsel for established artistes, helping with marketing and merchandising deals, as well as real estate transactions and tax issues. 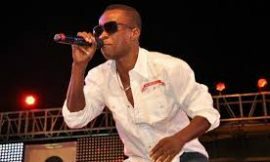 They help artistes secure the rights to use music that other artistes have written, complying with copyright laws. Their services in the showbiz art and entertainment are enormous and highly essential. I recall an article was once published which sought to give hope that Bola Ray of Joy fm and Empire entertainment promised he was going to pursue a course in law so that he becomes an entertainment lawyer. Years have passed on but nothing has been heard from him as to whether he has dropped such a great ambition or still considering it. One man I often hear him called upon to speak is Mr. Nkrabea Effah Dateh, founder of theatre mirrors. Mr Effah Dateh unknown to many; is a criminology lawyer and not an entertainment lawyer. As Carlos Sakyi always lament, our industry is growing and thus, needs systems and structures. In my opinion, having many entertainment lawyers would help build some of these systems and structures. If there are such thing as entertainment lawyers in Ghana, I entreat them to make themselves public for us to tap from their worth of knowledge. If there isn’t, I am by this article recommending to Ghana School of Law to design a curriculum especially for showbiz, art and entertainment from the Ghanaian perspective. Until then…….MOTWUM!! 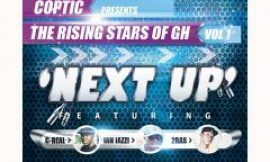 Coptic Presents – The Rising Stars Of GH Mixtape – First Single ” NEXT UP ”.